Featured: a bunch of PCs. If you’re a roleplayer, chances are you often read a book or watch a TV show and think, “That’s a cool setting. I should run a campaign in it.” But what if there isn’t a system for that setting? You may not have the time to build systems from scratch, but you can take an existing game and modify it to your purposes. Just make sure the system you choose is the right match. You wouldn’t want to play an A-Team campaign in a system with super realistic damage rules. Once you know what to look for, you can pick the right system-setting combination every time. Here are a few to get you started. You can tell Avatar is an RPG because one of the characters is mad OP. After five years, it’s bizarre that Avatar doesn’t have its own roleplaying game. This is a story that looks tailor-made for roleplaying: themed elemental powers based on martial arts, complicated politics, giant monsters, a huge amount of history to draw on – all of it makes Avatar perfect for many groups. While Legend of Korra had its flaws, it made the possibilities for roleplaying even broader by adding new technology and a steampunk aesthetic. Fortunately, we have Anima Prime. * This system feels custom-built for Avatar. In fact, many of the game’s rules use scenes from the show as examples. In short, Anima Prime is designed to simulate high action TV shows. It references a number of animes, but anything where characters routinely duke it out with special powers fits the ticket. Other than conflicts, nearly everything in Anima Prime is solved through narration. Players are free to describe their airbender zooming through the sky or their waterbender riding high on a swirling vortex. The GM makes sure no one describes anything game breaking, but for the most part it works naturally. The game’s level of abstraction even protects against some of the darker extrapolations of bending that a more simulationist approach might encourage. 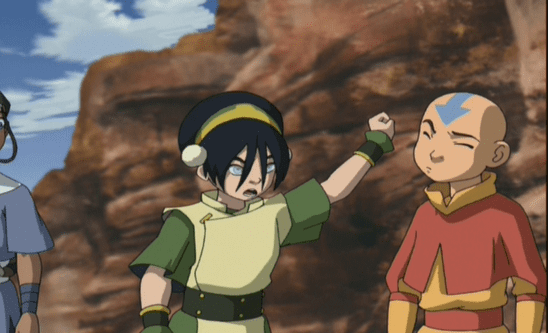 You won’t find anyone trying to use waterbending to pinch an enemy’s carotid artery, for example. Players have no incentive to do that because they have plenty of ways to influence the story without breaking the theme. The game also has plenty of roleplaying mechanics to work with. Characters all have a driving passion that defines everything they do. Zuko’s passion would probably be anger, while Katara’s could be doubt in herself. These passions have strong mechanical effects, and they are a major influence on gameplay. Characters also have traits and background links for even more story potential. The most work you’ll have to do when converting Anima Prime for Avatar is the elements themselves. Anima Prime’s base setting has three elements: fire, ice, and lightning. Reconfiguring it for the big four will take a bit of brain power. Optionally, determined GMs can do even more work to make sure each element has its own distinct set of powers, though it’s fine to just take the existing powers and re-flavor them. Force Attack, for example, is a powerful but hard-to-pull-off ability that could easily become Azula’s lightning. The only problem with using Anima Prime for Avatar is that characters like Sokka don’t fit in super well. He’s just not powerful enough compared to the other PCs. You can certainly make a character who’s more focused on achieving objectives than defeating opponents, but they still need a base level of competence. Sokka wouldn’t qualify for PC status until he gets his space sword in season three. Attack on Titan is a show about terrifying giants devouring humans to the point of extinction, so what could that possibly have to do with Mouse Guard, a game about adorable little mice? Plenty. You see, both show and game are about dealing with problems far larger than yourself. Usually, these problems want to eat you. 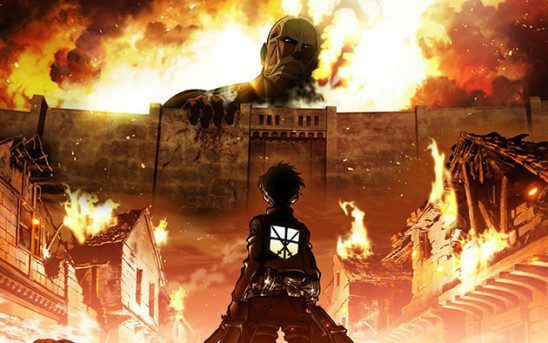 A patrol of mice trying to drive off a fox are very similar to the Scout Brigade trying to drive a hungry titan away from Wall Maria. The most important house rule you’ll need is for the three-dimensional maneuvering gear, those rigs that shoot out grappling hooks so the characters can zip around wherever they like. Mechanically, these rigs are a special piece of gear that allows PCs to fight titans that would otherwise be way too big for them. Of course, the titans will still get a bunch of bonus dice, and the PCs will need lots of helping dice from their fellows. 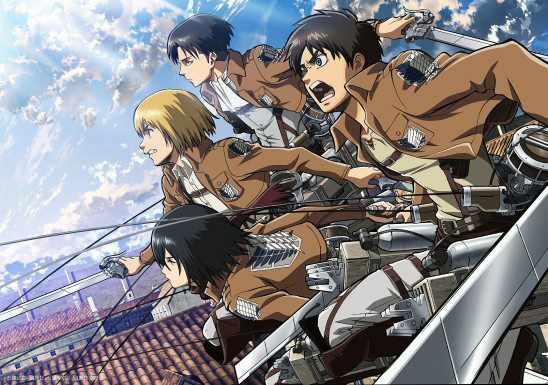 Cannons, muskets, and the special swords used to fight titans would all be new types of weapons. Cannons would only be used in war-scale conflicts. They’re too large for personal engagements. Muskets would give a substantial bonus when fighting humans but be fairly useless against titans. When PCs do go up against a titan, only those swords can make the killing blow. Skills, abilities, and the all important Nature stat all work fine. In combat with titans, I recommend making Hunter the primary skill to represent how different anti-titan combat is from fighting humans, but that’s a personal preference. Nature can keep its current mechanics, though you may wish to change its descriptors, as the characters are no longer mice. Escaping and hiding work very well with the show’s themes, but foraging and climbing are less appropriate. Consider replacing them with hoping, demanding, denying, or something else that fits the setting. Character creation will be the trickiest part. The simplest solution is to just let players choose their own skills. Letting them pick two skills at rank four, three at rank three, and four at rank two will make for fairly capable characters, the kind who have been on patrol with the Scout Brigade a few times. Reduce that number if you want characters who are fresh out of training. GMs with some time on their hands could revamp the existing Mouse Guard creation system, replacing the guard ranks with military ones and adjusting which skills a player receives, but that’s more work than necessary. Pole balancing is a very important skill. Sometimes you just want an adventure in fantasy Venice! Scott Lynch’s Gentleman Bastards series is essentially a bunch of Renaissance-era heist stories. The drama, tension, intrigue, and brutal violence make it perfect for Burning Wheel. Locke Lamora, the main character, apparently started as Lynch’s PC in a short-lived campaign,* so it makes sense that some parts of the books feel a little like roleplaying games already. Locke and Jean’s adventure to recruit a fleet of pirates in book two especially feels like something PCs would do. While Burning Wheel doesn’t have a specific setting, its lifepath system matches up with the world portrayed in the Gentleman Bastards. 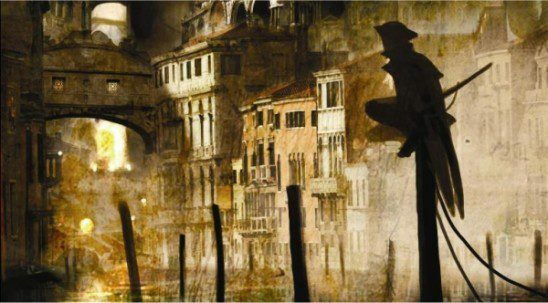 In the books, most characters have only taken city and criminal lifepaths, but it wouldn’t be hard to justify someone with peasant, soldier, sailor, or even noble lifepaths. The books’ characters clearly have strong beliefs that get them into trouble, which plays directly into Burning Wheel’s mechanics. Burning Wheel’s combat is also an excellent match. In the books, characters often bleed to death or die of infection, which Burning Wheel embraces. This is a game where characters literally take months to heal, according to rules as written. On another mechanical note, I recommend picking up a copy of the Magic Burner if you can. * That book’s rules for creating potions and other consumable magic are great for simulating the semi-mystical alchemy of Lynch’s world. Just about the only place Burning Wheel doesn’t fit the Gentleman Bastards is in sorcery, which is actually a good thing. Mages in the books are far too powerful to be interesting; it’s one of Gentleman Bastards’ few flaws. Mages in Burning Wheel are powerful enough to be formidable but not so much as to completely dominate. A GM insistent on total accuracy could always make Burning Wheel mages more powerful, but it will hurt the game. Yikes, that’s some bad paradox. Spoiler: The ending of Madoka. Madoka Magica is a Watchmen-style deconstruction of the magical girl anime. It is super dark. The characters suffer losses that will make you cry. * But the show also has hope. Despite all the horror Madoka and the others go through, no matter how desperate their situation, there’s always something they can do. This will make you cry a lot more. To simulate Madoka’s strange magic system, we shall turn to Mage. You can use either edition, but Mage: The Ascension is the better bet. Mage’s theme of manipulating reality and a karmic backlash for using magic lines up surprisingly well with Madoka’s witches and soul gems. Step one is to strip out all the rules about different paradigms. Everyone in Madoka has the same paradigm: they get their powers from making a contract with Kyubey. Their powers will manifest differently depending on which spheres they have, but it all comes from the same source. For example, Mami’s ability to produce guns from nowhere and turn herself into ribbons are both manifestations of her Matter sphere. Step two is to replace paradox and quintessence with despair and hope, respectively. The paradox wheel on the character sheet is now the despair wheel. Like paradox, characters gain despair whenever they use magic. It never backlashes, just continues to build up. 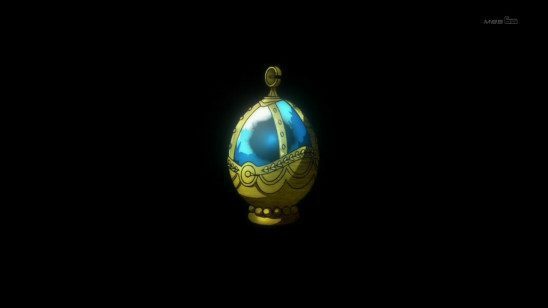 This represents a magical girl’s soul gem getting darker as she uses her power. If a character’s wheel completely fills up with despair, they fall and become a witch. Hope counteracts despair. Like quintessence, it starts on the other side of the wheel. If a character gains enough hope to reach a box already filled with despair, that despair is erased. The most reliable way to gain hope is to defeat a witch and claim her grief seed. * This should grant a fair amount of hope, but only one character can benefit from one grief seed. In the show, this is when one of the magical girls uses a grief seed to cleanse their soul gem. Despair also erases hope. If a character’s despair pushes into a box filled with hope, that hope is gone. Hope can be spent to boost spellcasting in the same way quintessence does, but doing so will mean a character needs to collect a lot more before they make a dent in their despair. GMs are also free to award smaller amounts of hope or despair based on roleplaying. Reconnecting with a treasured friend is worth some hope; getting dumped by the love of your life will cause despair. GMs will have to play with the numbers until they find the right balance, but the goal is to make a downward spiral. The life of a magical girl is destined to end in despair unless something is done to stop it. For step three, simply fill out character creation as you normally would for Mage. Any skills that don’t make sense for a young girl to have can be explained by the contract with Kyubey. Then you just have to decide what story to run. Will you take a group of unsuspecting players through the show’s plot, slowly realizing how doomed they all are? Or will your story strike out in an entirely new direction? That’s up to you; I’ve only given you the tools to sew your party’s demise. When the roleplaying system you’re looking for doesn’t exist, you can always try to make your own, but that’s a really time-consuming process. Instead, modifying existing systems can get you the campaign you want with a fraction of the effort. Then you can spend all your hours planning the game instead of trying to figure out what options should go on the skill list. Not to be confused with just Anima. That’s a completely different game. Ok fine, she had help with that one. Although there may be fewer bee keepers. He doesn’t say which system. There’s a new book from Kickstarter called the Burning Wheel Codex that includes the Magic Burner, but we don’t know when it’s coming out. Or at least they made me cry. Though if you’re playing after Madoka’s sacrifice, this changes. Find one or two good universal systems and never worry about this problem again. Gentlemen Bastards seems like it would work well in WFRP. For PMM Madoka, I would think that an Apocalypse World variant (especially Monsterhearts) would be a good choice as well. The “history” mechanic is an excellent piece for interpersonal drama, and Monsterhearts’ “Darkest Self” might be a good way to begin / achieve the witch transformation. In addition, Monsterhearts is already written as a teen drama, and Madoka would benefit from that setting. Took me a moment to realize I hadn’t been commenting in my sleep. Welcome to the blog, other Oren. One of the best ideas I’ve heard for Madoka is actually Don’t Rest Your Head. If you have to mod it in anyways, it’s strictly in the wording, and the mechanics “faster and looser” approach fits the freeflow of Madoka’s world. On number 3 it says poll balancing instead of pole balancing. Is this a joke or a mistake? Just your garden variety mistake. Pretty much any setting can be run on GURPS (generic universal role-playing systerm) with its various expansions if the GM is creative. That’s the beauty (and the whole point) of it.